I need toners that help to boost other skin care products such as moisturizer, balances skin after using some drying cleansers/exfoliants, to extra cleanse/removes impurities even after cleanser and makeup remover. One of my current favorite toners is the Klairs Supple toner. Klairs has decided to create an UNSCENTED Version of their best selling, Supple Preparation Facial Toner which officially launched this March 15th 2018. If you're following me on my Instagram account, I even shared it there and mentioned it free shipping for days during the release! A bottle can last 1 to 2 months. The KLAIRS Supple Preparation Unscented Toner does not contain any essential oils. It is lightweight and as wonderfully hydrating and non-irritating as the original. This version specially caters to consumers who are sensitive and allergic to natural essential oils. It works the same as the original variant, I personally have no problem with the scent of the first one. I find them both works the same way - hydrates, balances pH level, my skin absorbs it fast and gives a glow and moist skin after use. This toner definitely calms my skin when I have redness during plucking or deroofing. I mentioned that I have removed my milia (not recommended to do it yourself but I'm just really stubborn coz I already tried a lot of products). Some toners just sting a lot on my skin that time is open. 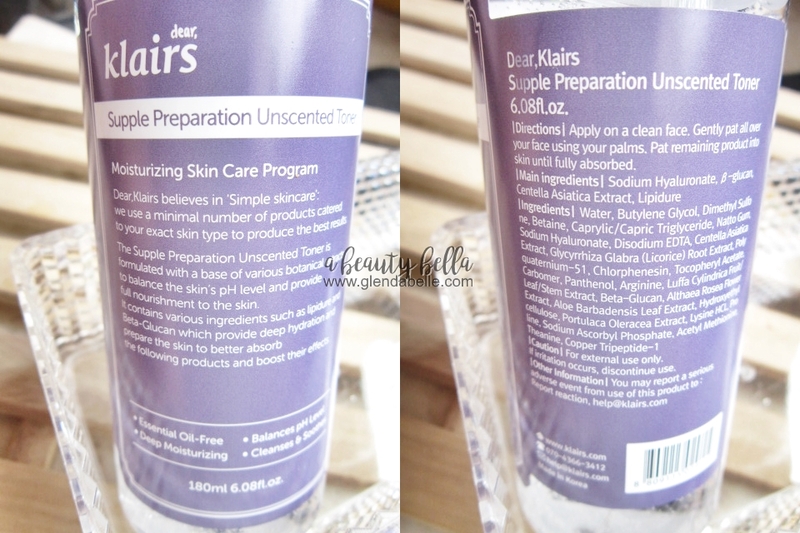 I continue to use Klairs Supple Preparation Unscented Toner till affected area starts to scab and close the skin.